The fate of Young Pope Lenny Belardo was fairly uncertain at the end of what now appears to be the show’s only season. 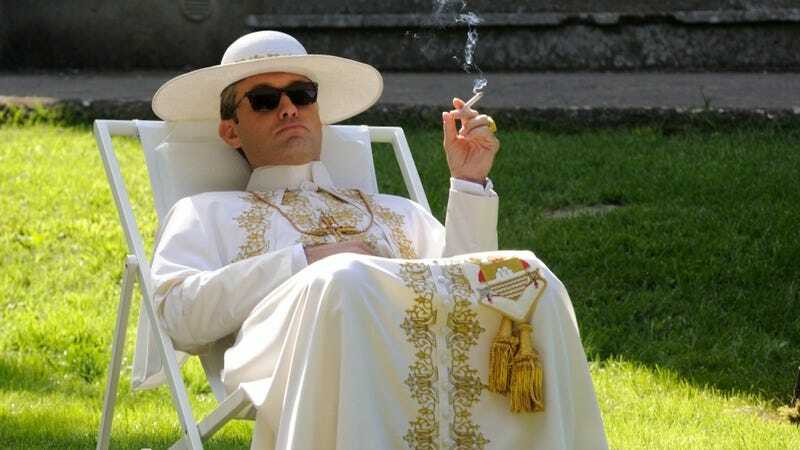 Variety announced today that Young Pope auteur Paolo Sorrentino is developing not a sequel or continuation, but a followup, entitled The New Pope. It will be another limited HBO series written by Sorrentino and his Young Pope collaborator Paolo Contarello. Sky Italia chief of content Andrea Scrosati told Variety: “Just like The Young Pope, Sorrentino is writing the script for the new show, but it will have a different twist than what would be expected.” Which is an odd statement, because The Young Pope proved that when it comes to Sorrentino, not much can be expected: Who could have possibly predicted a kangaroo in a garden or that pronounced placement of an LMFAO song? Sorrentino’s unpredictability and gorgeous artisanship won him many fans with The Young Pope, viewers who will probably be predisposed to check out whatever this New Pope has to offer.